Hello to our readers! 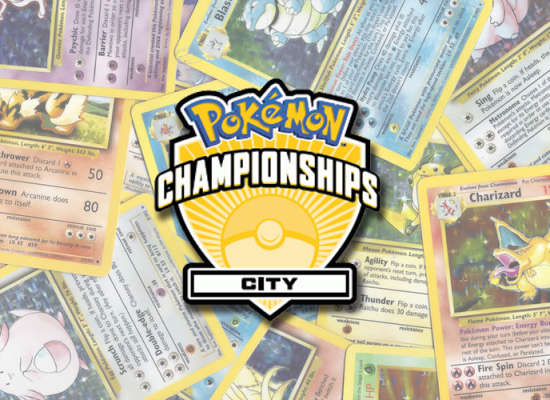 My name is Jordan Palmer, I am the current Australian National Champion, Top 32 placing player at the London International, and this is my first full time article for Ace Trainer on a permanent basis! The Oceania International Championships are now less than a month away, with a brand-new set and new mechanics to be explored it’s time to have a look at some potential decks to prepare for. In Melbourne, it is safe to assume we will be seeing many veteran archetypes which have been running the format all season so far, can these new GX cards stand up to the kings of the current format? Lurantis GX and Decidueye GX are looking to be some top contenders but in this article, I will be focusing on Umbreon GX. I have built three different lists based around Umbreon GX to share in this article, each with varying strengths and weaknesses. Umbreon GX lists can differ quite a lot but below is a list of the cards which are featured in all three of the lists, these are cards you should expect to see in just about any Umbreon GX deck so I guess you could call this an Umbreon GX Skeleton list. Before we get into the deck lists here is a short analysis of Umbreon GX itself. Umbreon GX doesn’t have amazing stats all around, its 200 HP is proving to be on the lower end for stage 1 GXs and its attack damage is quite low, capping at just 90 damage for 3 energy. 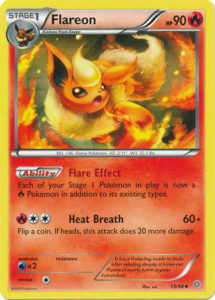 Where Umbreon shines is versatility, there are many ways to build a deck around this card. 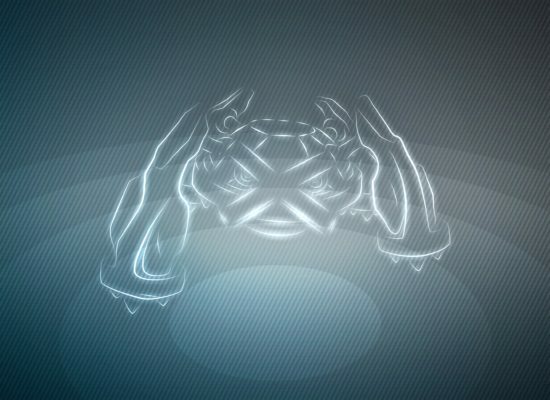 All three of its attacks are unique enough to focus different strategies on, while its damage output isn’t super high or its disruptive attacks too devastating, they have potential if used correctly to take control of a game. For most strategies, its “Shadow Bullet” attack will be the primary attack, dealing 90 damage to the active and 30 to a benched Pokémon of your choice (sound familiar?). While this attack is cheaper than the infamous “Night Spear” which ruled the game, it will not make the same impact Darkrai EX did when it was released 5 years ago, (has it really been that long?). The reason for this is the power creep. 90 damage isn’t what it used to be but with the help of some other cards this attack may be just enough to have a big influence on the format, here are some highlight cards which help make Umbreon GX a viable contender for the upcoming International Championships. As mentioned earlier 90 damage typically isn’t enough to focus a deck around in this format, but 110? I think that’s a bit more manageable. This extra damage will come up more than you think, firstly it is required to 2-shot other Umbreon or Espeon GXs. You can also do this with Reverse Valley to deal 100 damage instead of 90 which will then allow you to 2-shot most Basic EX/GX Pokémon with Fighting Fury Belt using the extra 20 damage from Professor Kukui. The added damage works especially well in combination with the 30-snipe damage, with careful placement of this extra bench damage, you can set up for one hit knockouts with “Shadow Bullet” by softening a threat on the bench and finishing it off with a Kukui for 110. Possibly the main reason Kukui works well with Umbreon GX is that it allows Umbreon GX to deal a total of 220 damage with weakness, while not many cards are weak to Dark right now, with the help of the next few cards it is likely you will be able to hit for weakness quite often. If I was asked which decks I was expecting to see in Melbourne I would say Dark decks like Yveltal, Fire decks like Volcanion and Grass decks like Lurantis. Their primary weaknesses are Lightning, Water and Fire, how convenient! These stage 1 eeveelutions will help any stage 1 deck try to counter these popular archetypes, but it doesn’t get any easier than having the basic for these cards already in your list. Umbreon GX benefits from these cards more than any other deck since you don’t need to devote as much space to fit them in. 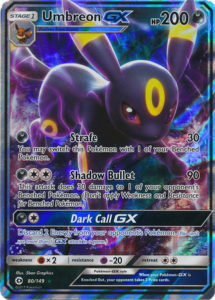 Any game where you successfully announce “Shadow Bullet for 180” is a game you have a strong chance of winning so it’s natural that these cards are going to be an important role in most Umbreon GX lists. Absol is not a card being talked about much at the moment but it’s synergy with Umbreon GX is not something to be underestimated. The uses of this card in a deck like this is nearly unlimited but in my eyes, there are typically two ways this ability can be used to benefit you. The first is moving the bench spear damage to the active Pokémon which effectively increases Umbreon’s damage output to 120, this allows you to easily 2-shot 210 HP Pokémon which is a very important number to hit. The second main use is to move the excess damage from the active Pokémon onto the bench, this effectively gives you an additional snipe attack. This could be used to soften multiple different Pokémon, or focus it all on one Pokémon and you pretty much got a free 90 damage on one of your opponents benched Pokémon, the possibilities are endless. Unfortunately, there is no efficient way to reuse this effect, but the single use is still enough to change the momentum of a game, this card makes me want AZ back more than ever. 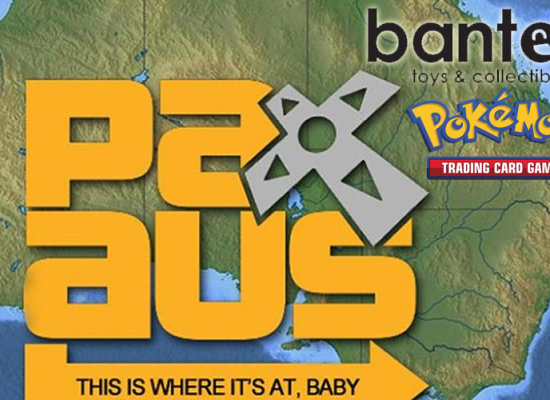 Due to the nature of some of the lists featured in this article I was unable to include it in as many as I wanted but there is no denying it is a brilliant partner for Umbreon GX. Umbreon GX is a solid card overall but of course like all cards it does have its weaknesses. Fighting decks in recent times have not been the popular choice but it seems like they may soon be making a comeback. Zygarde EX comes to mind as a big problem for Umbreon but what may shape out to be an even bigger issue is the new Mew/Passimian deck. A mixture of low energy cost, fighting typing and non-EX prize trade is far too much for Umbreon to deal with. The other deck which is looking to be a terrible matchup is Greninja. Umbreon may be able to take an early prize or two but you will soon learn that a simple 90-30 every turn just won’t cut it against Greninja. Once again you are dealing with a non-ex prize trade but in this case, it is impossible for Umbreon to score a one hit knockout on a Greninja or Greninja Break without 1-2 snipe attacks first. The damage output and lack of ability lock will make this a matchup where your only chance is to hope they beat themselves (see 2016 Worlds finals). 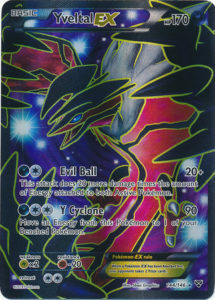 That’s enough information on Umbreon GX itself now let’s move on to the first of the deck lists. This list has a nice mix of power and disruption with Zoroark as a strong backup attacker. 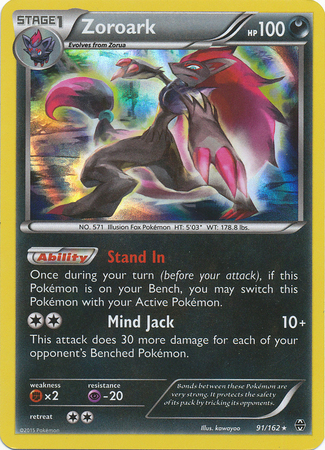 Zoroark plus the eeveelutions can help score big knockouts if your opponent isn’t careful with bench space. Umbreon acts as the primary attacker to set up knockouts with the snipe damage or set your opponent back a few turns with “Dark Call GX”. Unlike the other Umbreon GX lists this one has no form of energy acceleration. 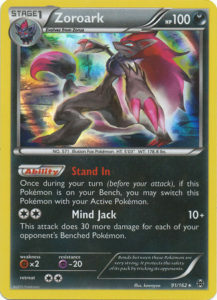 There are two reasons this is ok, firstly you can slow your opponent down using hammers to give yourself time to manually set up your Umbreon, secondly Zoroark acts as a strong 1 energy attacker which obviously allows you to come back into the game from having no energy in play. This list can have a hard time with energy denial lists which is why it plays both Super Rod and Special Charge for energy recursion. The Special Charge could be subbed out for a variety of cards such as an extra energy or an Enhanced Hammer but overall Special Charge is the safest option. As for the stadium choice, Reverse Valley puts in the most work here as it can allow for a variety of options for both Zoroark or Umbreon. Between Professor Kukui, Absol and Reverse valley, there are many different plays that can be made to surprise your opponent and swing the momentum of a game. 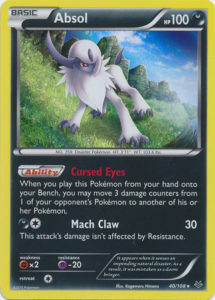 Most importantly it boosts Zoroark up to 110 damage with just 3 benched Pokémon, allowing you to easily pick off Shaymin EX, or with the eeveelutions, deal the perfect 220 and take out popular threats like Lurantis, Yveltal and Volcanion with a Fighting Fury Belt attached. This deck has some strong matchups across the board. Volcanion is one of the best matchups for this deck, Zoroark and Vaporeon are very strong against this Volcanion, especially considering Volcanion will need a big bench to deal with Umbreon. Even if they can Lysandre and KO your Vaporeon, Zoroark still deals a ton of damage against this deck and the hammers can help slow them down and potentially force a few slow turns. The hammers are much stronger against decks like Yveltal or Darkrai. Both these decks need to have a decent amount of energy in play to be a real threat and slowing them down with hammers while attacking turn after turn with Umbreon will cause these decks trouble, not to mention the non-EX attacker in Zoroark will help you win the prize trade. When facing Yveltal Garbodor Jolteon can be a huge help, it may be worth trying to take out the Garbodor with a Shadow Bullet for 100 while dealing 30 to their Yveltal EX, this will re activate your Jolteon and bring their Yveltal down to 180 HP assuming Fighting Fury Belt is attached, perfect numbers to clean up with an Umbreon next turn. Mega Rayquaza also loses badly to this deck, between hammers, Zoroark and Jolteon what could possibly go wrong? Some close matchups with this deck include Decidueye GX builds. This matchup will often come down to how quickly you can set up and evolve your Pokémon. 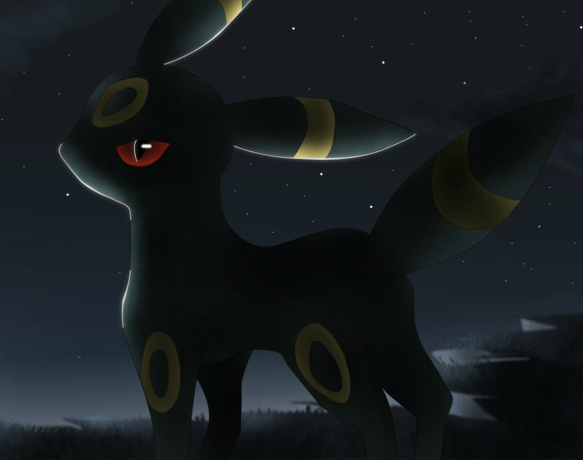 No Zorua or Eevee is safe, well except those which you evolve instantly into Umbreon. Flareon is a huge asset to this matchup but don’t expect it to stay in play for long, the key to winning this matchup is using Zoroark and Flareon early game to take out Decidueye and then clean up the game using Umbreon. If you can do this without your basics being picked off early you should have a smooth game, but that is easier said than done. As mentioned earlier this list has no answer to decks like Zygarde, Passimian or Greninja. These decks either deal too much damage too quickly or are impossible to deal with in the late game. Decks relying on Rough Seas are also going to be a big problem for Umbreon as it will typically reduce your 90-30 attack down to 60-0, if you run into a waterbox deck with Lapras GX rough seas your likely in trouble. It is also worth noting that Glaceon EX gives this deck problems. The best way to deal with a Glaceon is to run it out of energy and then take it out while it powers up again. If that fails, you can either confuse it with a Zorua or Sky Return loop and hope for the best. If you wish to add a basic attacker to deal with Glaceon than Yveltal EX is probably the best but with no Fighting Fury Belt or Max Elixir to support it, Yveltal will be inefficient at best. Espeon GX puts a lot more offensive pressure on your opponent than Umbreon does. It is on average doing 120-150 damage for 3 energy, with added weakness from the eeveelutions this will almost always be able to score one hit knockouts. Espeon’s other attacks are very good too. The confusion for 1 Psychic is surprisingly useful, thanks to Eevee’s energy evolution it is not too difficult to use this attack turn 1 which can buy you some extra time and potentially hinder your opponent’s set up, I’ve already won a bunch of games thanks to a favourable confusion flip. 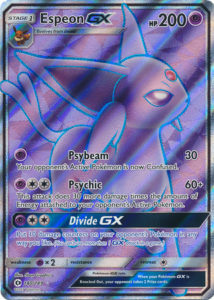 “Divide GX” is probably what excites me most about this card. This gives you the option to choose which GX attack you would rather use each game out of “Dark Call” and “Divide GX”. Divide GX synergises well with Umbreon for extra snipe damage, 100 damage isn’t very strong for a GX attack but the amount of plays or win conditions it can open to you are insane. Espeon also adds an extra offensive typing, Psychic. This now gives the deck a very strong Mega Mewtwo matchup since you can hit them for weakness but they still need a bunch of energy to return KO. Espeon also acts as a strong attacker against Passimian since you can knock them out easily without being return KO’d. Of course, you are still in danger of being taken out by Mew but this list has a strong answer for that as well. 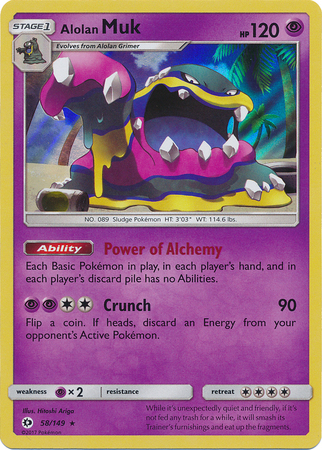 Alolan Muk is the focus of the disruption in this list. With the 4 Ultra Ball and 2 Level Ball it is not too hard to set up an early Muk while still powering up attackers. Eevee’s Energy Evolution ability can also be used to search out either Umbreon or Espeon GX but be careful not to try this after you have set up a Muk. 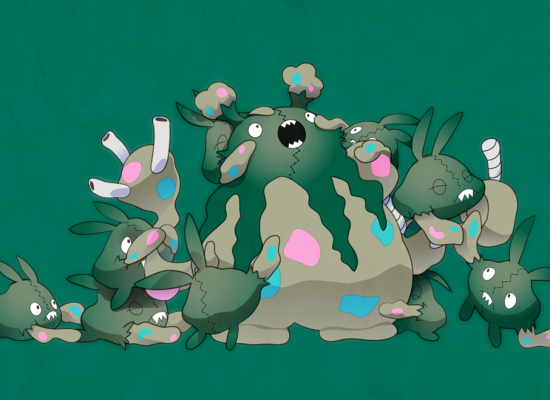 Muk is good as it acts as a Garbodor against basics but allows you to keep the eeveelution’s abilities active. Muk is necessary for this deck to have a chance against Passimian/Mew, by shutting down Mew’s ability and attacking the Passimian with Espeon you can assure they never have a way to take out your attackers in one hit, this gives you the opportunity to potentially win the prize trade by setting up multiple knockouts late game with Divide GX on all the Mew in play. Muk also gives this deck a very strong Volcanion matchup. Between Muk and Vaporeon you will easily be able to out damage and win the prize trade against Volcanion since they can’t easily Lysandre and KO both the Muk and Vaporeon without falling too far behind. 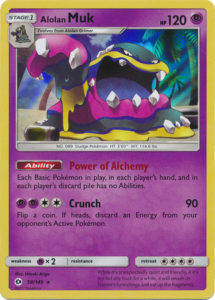 Muk will also shut down all the other common basic abilities such as Shaymin, Hoopa and Unown meaning you can slow down just about any deck by shutting off abilities early and then over power them with a stream of Umbreon GX and Espeon GX attacks. Unlike the Zoroark variant, this list plays no strong 1 energy attacker so there is more of an emphasis on maintaining energy in play. The Exp Share helps achieve this but with the different types of basic energy you can occasionally end up with the wrong coloured energy to attack, in these situations it is fine to take a turn to power up your next attacker with Yveltal’s “Oblivion Wing” attack. 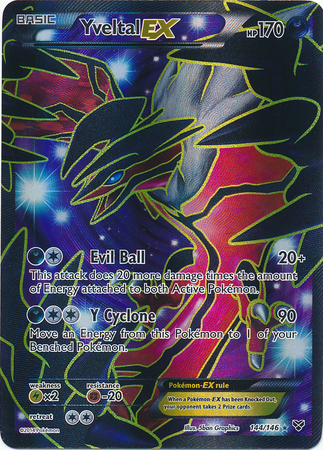 Yveltal is a solid inclusion in this list as it can often force a 7-prize trade for your opponent. 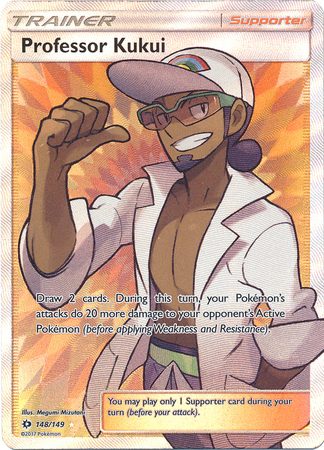 It is also a basic attacker which can soften your opponent’s Pokémon for up to 60 damage with Professor Kukui and Reverse Valley. This can be used to try and deal with opposing Glaceon EX. Espeon GX’s “Divide GX” will actually allow you to place damage counters on a Glaceon, this in combination with some Sky Returns or Oblivion Wings can be just enough to take out the Crystal Ray lock that eeveelution decks struggle so much against. Of course, there is also the strategy of confusing a Glaceon EX using Espeon GX’s “Psybeam” attack and hoping to get lucky. This variant of Umbreon is probably what most players immediately thought of when they saw Umbreon GX for the first time, and for good reason. The coverage between both Umbreon GX and Yveltal EX is amazing, they cover each other’s weaknesses and add some more depth to the already incredible Yveltal decks. Garbodor could also be a valuable inclusion in this deck to help fight matchups such as Greninja or Decidueye, but having to fit Umbreon, Yveltal and Garbodor into the same list leads to some harsh cuts, instead Silent Lab is a good substitute which takes up much less space. Even without Garbodor there isn’t much this deck can’t handle, common threats for Yveltal like Jolteon EX and Vespiquen are quickly handled by Umbreon whereas Umbreon’s weakness of fighting is something Yveltal likes to see such as Passimian or Zygarde EX. This deck is also very versatile, you can easily tech in one of the three eeveelution stage 1s to help combat a matchup of your choice but with this list I decided to keep it simple and make sure Yveltal has all the support it needs with Max Elixir and Fighting Fury Belt. One of the key inclusions in this deck is Ninja boy, it gives you the incredible option of Ninja Boy into Tauros GX for a OHKO on just about anything. Umbreon GX’s “Dark Call GX” is also very strong in this deck and can be used alongside Enhanced Hammer and Team Flare Grunt to devastate your opponent’s board. Having the option to use your GX attack for power or disruption gives this list many options on how you want to win the game. Another great use for ninja boy is you can easily use it to swap in a surprise Umbreon GX, while ninja boy usually only works with basics you can simply switch into Eevee and then either manually evolve or attach a dark energy for “Energy Evolution” and you have a fully powered Umbreon GX ready to go. Umbreon can also be powered up using Max Elixir as long as you do so before evolving, but the more efficient way to power up an Umbreon quickly with Yveltal EX’s “Y Cyclone” attack which will likely put your opponent in range for a KO with Umbreon. The Oblivion Wing Yveltal is also a good option for setting up your other Yveltal and Umbreon. There are many excellent ways to build a deck with Umbreon GX, many of which were not even covered in this article. Although I believe the three variants listed here are the ones most likely to have success in Melbourne for the International. These decks can be built to beat just about anything but I think that the highlights include being able to handle grass and fire decks like Volcanion and Lurantis fairly easily since these types are expected to be some of the most common at the event. Being able to find a nice balance between disruption and aggression is what makes Umbreon GX decks a big contender and I can’t wait to see what other builds people decide to use leading up to our Internationals! Please make sure to check out our social media channels below!